With housing prices still down and mortgage rates the lowest they've been, well, ever, right now is an amazingly good time to invest in real estate. Of course, in order to do so you need money, and unless you're independently wealthy, that means raising funds from private lenders. Okay, but how in the heck can you do that? Are you just supposed to walk up to people and ask them to give you money? But obviously you can't just do that or they're likely to think that you're a beggar, a crazy person, or both. What you need is a plan, and that's exactly what we're here to provide you with in just a few steps. Ready? First, find the deals. Way too many wannabe investors feel like it isn't worth their time to try to find deals to invest in until they know that they are going to have the funds to actually do the investing. Okay, fine - but then why would anyone want to give you money? What are they giving you their hard-earned cash for? Lenders aren't going to lend based on some magical belief that you'll find something worth investing in; they're going to want to hear specifics on the real estate and know that you have a plan and possibly even numbers to back up your claims. Next, start talking. 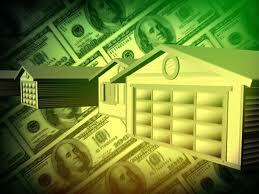 Potential lenders are everywhere if you're willing to sell yourself any time and any place. What does that mean? Start talking. Tell your family members about your business. Tell your friends and colleagues at work if you've got a regular 9 to 5. When you visit the doctor or dentist, talk up your plans to the staff. It doesn't matter who you get to lend you the money, just that you get it, but the only way that people are going to know you're even looking is if you talk, talk, talk, and then talk some more. And don't be afraid to go a bit into the specifics and even talk potential return rates. After all, you're trying to sell people on the idea that you can make them money, so any numbers you can give will make you sound more legitimate. Then, create mailing lists. When you're out around town blabbing about your deals and someone sounds interested, make sure that you get their email. Tell them you can use it to let them know about great deals and investment opportunities so that they can make money. Eventually, you should have a pretty substantial list that you can use in a number of ways. Finally, organize private group presentations. These are events that you hold to give people more in-depth information about specific deals and try to convince them to lend. Often, these will cost you a bit of money because it's wise to offer a small dinner or appetizers to encourage people to attend. You can use the mailing list to get people to RSVP so you have a headcount, and also to make it seem more exclusive by capping the number of people who can attend and letting your list know when the presentation is full. This is another way to make you seem more legitimate and have those people who didn't RSVP feel like they might be missing out on something important, which will make them more likely to attend the next presentation. In general, the idea is that you should always be making a sales pitch for your business, no matter where you are or what you are doing. About the Author: Jennifer Motian is a freelance writer who often covers such businesses as Red Chalk Group. Her background in real estate has made her a helpful consultant for clients, friends and family.